Tired of eating rice, this is another way of enjoying it with so many healthy ingredients together. -firstly ground the rice into coarsely grits using a dry mill. -divide the onion into 2 dice half of it. -roughly blend the red bell peppers with the other half of the onion. -heat the vegetable oil with onions and set aside. -now wash the rice grits and drain/strain in a colander. NB:i used a rice cooker because it’s has a good steaming capacity, smells, taste, and stress free (but if you do not have a rice cooker simply place little water in a pot, insert a cover lid into the pot in such a way that the water is not visible and will not touch the rice grits while cooking. -if you are using a rice cooker set it and pour the 1 1/2 cup of water and pre heat while it’s preheating. 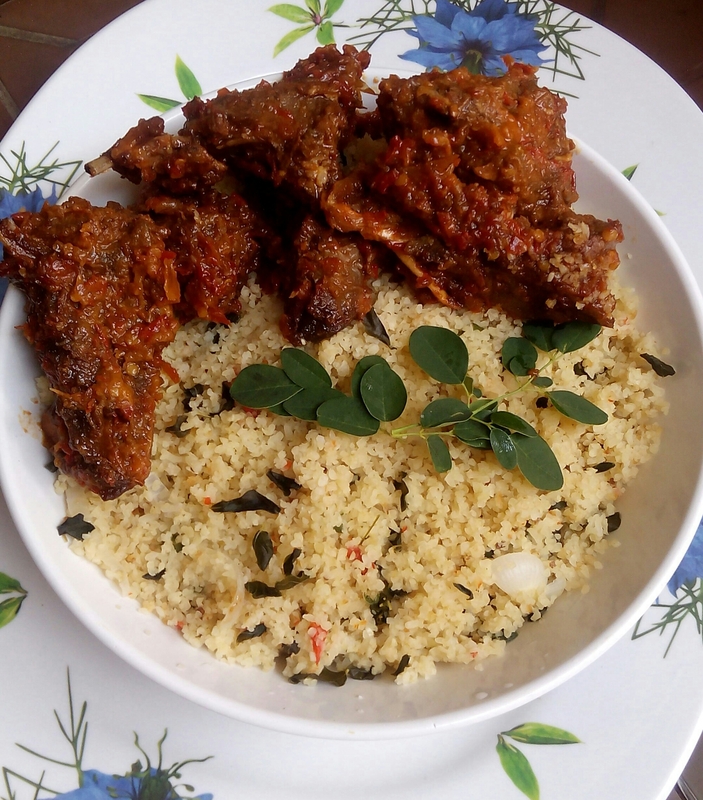 -mix the rice grits, red bell pepper paste, salt, stock cubes and kitchen groundnuts in a medium size bowl, mix properly with your hands. -now pour the mixture into the rice Cooker cover and allow to steam. -when it’s halfway steamed add moringa leafs, diced onions and spring onions. -keep steaming and if it doesn’t feel soft add more water until you get a soft and tender rice grits. -it took me 40 mins to get a soft grits. 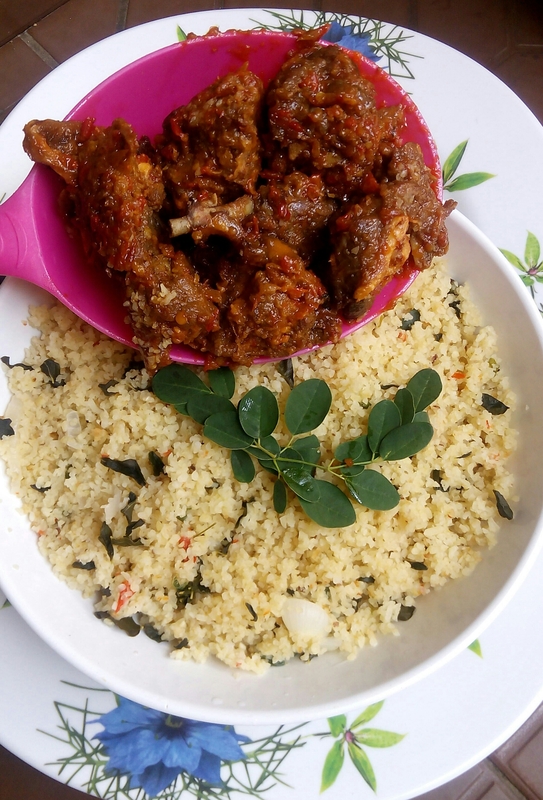 -Serve with the fried oil, peppered chicken or kuli kuli.